How to Order – Canadian customers ONLY! Q: How do I order products online? 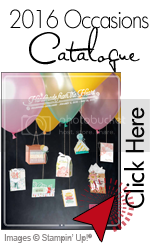 A: Clicking either the SHOP NOW button located beneath my photo on my blog will take you to my online store. Once there, adding items you would like to purchase is accomplished through a virtual shopping bag. If you do not know the item code, you may enter the name in the search bar or search by category to find it. Once you find it, follow the steps listed above. · When you are finished shopping, simply click the Checkout button from your shopping bag and follow the information prompts through the checkout process. The last screen in the checkout process is a printable receipt. Following a short processing time, your order will be shipped to your specified address. Q: Can I save the items in my shopping bag and finish my order later. A: Unfortunately at this time you are not able to save the items in your shopping bag for a later time. If you get interrupted during your order, you shopping bag will time out after 20 minutes of being idle and you will need to add the items to your bag again. A: For online orders, I currently accept credit card payments made using Visa and MasterCard. A: When you check out, you will see our current order processing and handling time. In addition, you will need to add your chosen shipping method to calculate the total time to receive your order. After placing your order, you can check your order status and get tracking information in the My Account area of Online Ordering. Typically, it takes 8 days from the day of order to receive orders here in Canada. Q: What are Stampin’ Rewards, and how do I earn them? A: The Stampin’ Rewards program awards you with rewards dollars which you may redeem for exclusive products when you place a qualifying order ($200 or more) through my website. Click the “Claim Rewards” button to add reward items to your shopping bag at any time before checking out. Please note that you must redeem rewards dollars before checking out or you will lose them. To view the award tiers, click the Stampin’ Rewards link at the bottom of the store page. Certain award tiers will give you the opportunity to choose products at half off. These products can be added to your order by clicking the “Claim at 50% off” button. 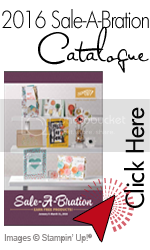 To view the exclusive products available for purchase with rewards dollars, click the Stampin’ Rewards link. Q: What if I’m uncomfortable ordering online by myself?